By Gabriel Ewepu ABUJA- RICE farmers under the auspices of Rice Farmers Association of Nigeria, RIFAN, has assured Nigerians that in June 2017 a 50 kilogramme of rice bag will sell at N10, 000. This assurance was given by the National President, RIFAN, Aminu Goronyo, while speaking on the current development in the rice industry, which Goronyo disclosed that rice farmers under the association now have direct access to fertiliser. He said: “Fertiliser was a very big challenge, but today it has become a history. We have signed MoU where the fertiliser is sold N5, 500 per bag of fertiliser, and is now a government policy. We have more fertiliser in the country and go direct to the hands of the farmers and is everywhere in the country. “We have already achieved rice sufficiency in the last two years because all the rice we eat is grown here in the country. With the government through the Nigeria Customs Service on the land borders, including the high exchange rate no importer can go to other countries and import rice for profit. I assure you in the next three months a 50kg bag of rice will come down to N10, 000. “The Anchor Borrowers Scheme was conceived through collective effort by the Central Bank of Nigeria, RIFAN and other relevant key stakeholders, and we are everyday meeting with the CBN reviewing the process.” However, the rice farmers’ boss lamented inadequate rice seeds for his over 4.2 million registered members, which according to him said past governments, have failed to provide certified and quality seeds for over 30 years. “Seed is the most essential component of any commodity that is going to be produced. We do not have rice seeds in Nigeria. The few companies we have in the country do not have the capacity to supply the quality and certified seeds we need. What we have is grossly inadequate and not up to one percent of the need by Nigerian farmers. “I blame the previous governments because for the 30 years we don’t have enough certified seeds. The government has played vital role in creating this problem for the farmers. “The research centres are there and they are being paid but they are not doing what they are supposed to because government rely on them to come up with certified seeds, and we the end users, the farmers, we know that we are not getting then real certified seed. “Even the current Anchor Borrowers Scheme that is going on we are just managing seeds from few companies that rarely have certified seeds. Most of the seeds that are being supplied are from the companies that do not have all it takes, and we do not have other options than to use what they are giving to us. The seeds released are not up to five percent of our total requirement”, he stated. 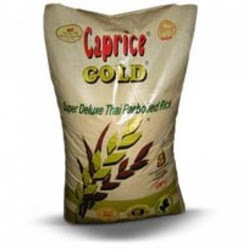 0 on: " Bag Of Rice To Sell For N10,000 by June - Aminu Goronyo"